Learn how to dress hair with Joseph Koniak's exclusive updo online hairdressing tutorials only on MHD. 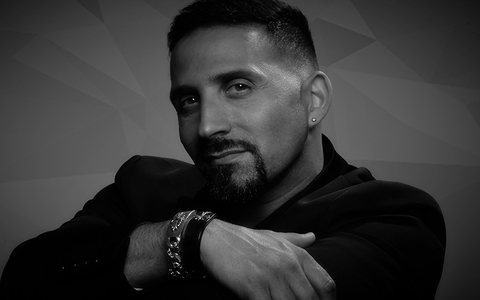 Joseph Koniak is the Founder and Director of Joseph Koniak Hair. He is a renowned and acknowledged artist, an authority in the industry who fully understands the many intricacies involved with hair and is a popular choice for high-profile, cutting edge hairstyling. Joseph’s career began with working at weekends for his father who was the original founder of Molton Brown of South Molton Street in London’s West End. Young Joseph excelled in the art and found it to be a thrilling and rewarding experience. He has spent over 23 years in the industry, styling for clients, celebrities and for movie sets and international events. Joseph’s main ambition is to transform the landscape of hairdressing; to style with an unparalleled quality; an unmatchable style and innovativeness as he loves giving to people – making them look and feel their most beautiful. Although a celebrated and gifted artist, his philosophy in life is remarkably humble and unpretentious – he wants to make the world a beautiful place, one guest at a time.